Upload hundreds of photos into WikiMapping at once. Assign them to a story, and describe each photo. You may go on a trip and take lots of photos from your phone. Later, you may want to review where you took the photos so that you can share this information with others. Manually importing photos would be unnecessary work. Actually, it was a hassle, which is why we created a bulk photo uploader. This requires that you have a google email account because all photos are saved to your google+ account. After the photos are uploaded, you can add descriptions and tag them in a tabular layout, or you can add descriptions directly from the WikiMapping project. Photo Stream shows you all of the photos, one at a time. Stories, lets you select a story. 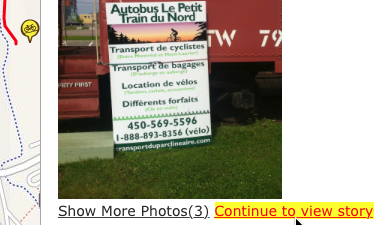 Find Photo lets you search for words in the description of the photo. As you navigate through the photos, you can select “Go to feature”, and this will center a dialog box to the right of the feature. To return to the story, select “Continue to View Story”. 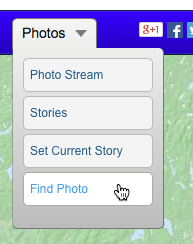 So, when you need to show people where a photo was taken, it may be as easy as going to the wikimapping site and selecting a story.